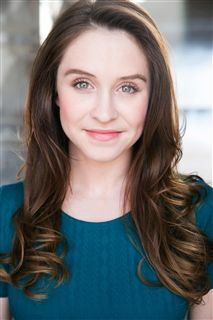 Archmere Academy | Maura Corsini '14 Pursues Acting Goal and Gets Break in "Unplanned"
Maura Corsini '14 Pursues Acting Goal and Gets Break in "Unplanned"
The opportunity to appear in “Unplanned” unfolded unconventionally. Maura Corsini '14 had been in touch with producers, then lost contact. Suddenly, in February, one of them was a customer in the restaurant where she worked. She got an audition and was on the “Unplanned” set in Stillwater, Oklahoma, by May. “Unplanned” is the story of Abby Johnson, a former Planned Parenthood administrator who converted to the pro-life movement after up-close interaction with abortion. Maura's character is Johnson’s coworker and friend. Maura has been advised that she may be able to develop a niche for acting in roles that help deliver a message in society, and that really appeals to her. On Thursday, March 28, the St. Thomas the Apostle Columbiettes and the Knights of Columbus Council #12374 are hosting a red carpet premiere of the new film, “Unplanned: The True Story of Abby Johnson” at Penn Cinema at the Riverfront in Wilmington. The evening will begin at 5:45 with a cocktail social. The screening starts at 7 p.m. The film, opening in theaters nationwide March 29, is the dramatic account of a former Planned Parenthood high achiever, Abby Johnson, their youngest clinic director in the nation, until she walked out after assisting in an abortion. Tickets are $15 each and can be purchased at www.eventbrite.com. Seating is limited and tickets are first come, first served. For information, email: 12374Columbiettes@gmail.com.